Home Carolynne What Does Pride Mean to Me? With the dawning of LGBT+ History Month, three writers discuss their experiences of Pride and what it means to them. Image courtesy of thomasjpics via Instagram. 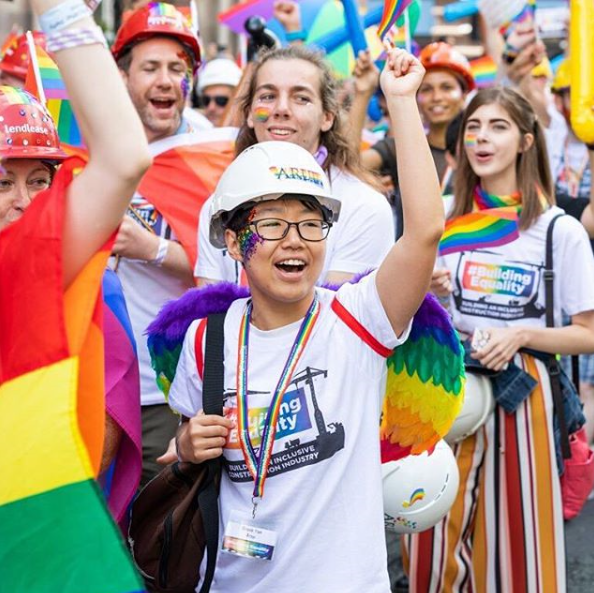 In honour of LGBT+ History Month, Connie Jordan-Turner, Lexi Burgess and Adam Saraswati Rawlings discuss their experiences of ‘Pride’ and what it means to them. “Pride is always a beautiful time of year. In a decade where so much progress has been won and so much progress has been eroded, Pride is always there to remind everybody that LGBTIQ+ people exist, and we won’t be oppressed by institutions that try to shut us and our voices down. No matter the fractions in the LGBTIQ+ community, we are all ultimately united in our quest for acceptance and equality. As someone who has recently worked out her identity, I am grateful for Pride as it allows me to have a space to celebrate who I am with people who I know will accept me for who I am. I unfortunately couldn’t attend the Lancaster Pride parade last year, but I attend the afterparty. The celebration and feeling of liberation, being able to dance and drink the night away in a space where I could be freely and openly me was amazing. Image courtesy of mayfieldmanchester via Instagram. “Manchester Pride is a celebration of our inclusivity, our dedication to change, and our advancement as a society. People from all over the world and every walk of life bubble with excitement for it. 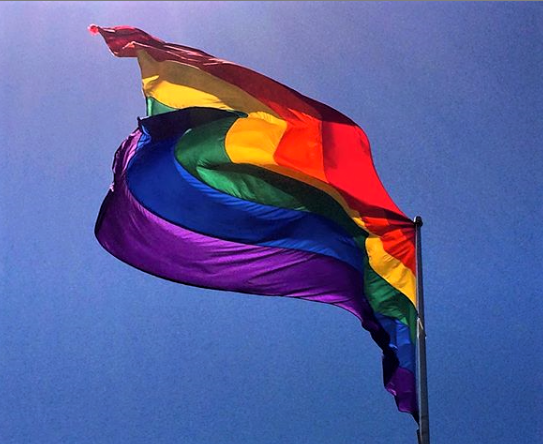 As pride weekend approached, there was a buzz in the office. People were frantically closing their ASOS tabs when the boss walked past, and conversations about who was wearing what dominated the break room. I experienced my first Manchester Pride event in 2018. On a rainy day in August, people from all works of life joined together in the Gay Village for a weekend of celebration. To me, pride represents progress and the ability to be oneself, unashamed, and unafraid of backlash. Although the streets were drab, and the cobbles greyed by the downpour of rain, the rainbow flag hanging from ever booth, bar, and dance floor added a pop of colour. And, of course, the people made the event special. It was wonderful to see so many drag queens being cheered on stage, and to see so many familiar faces among the crowds of Manchester’s LGBT+ community. I am proud to be part of a community that is willing to push back against inequality. 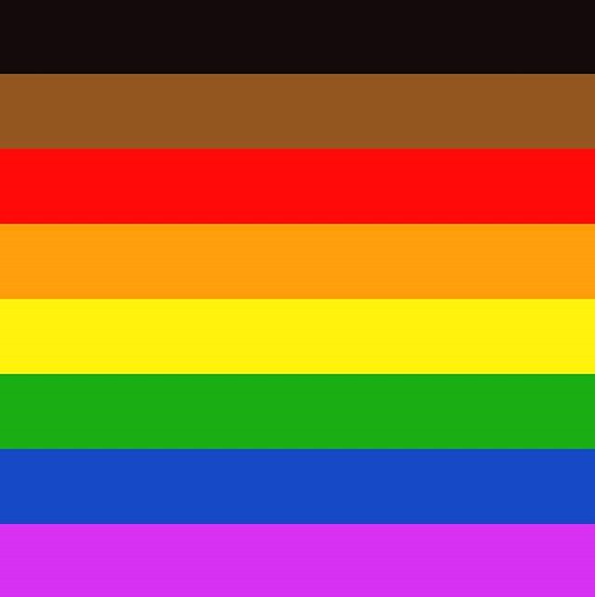 In an attempt to be even more inclusive, in 2019 Manchester Gay Pride officials are transforming Gilbert Baker’s traditional 6 stripe flag. By adding a brown and black stripe the flag will be ‘adapt(ed) to reflect the modern society that we live with’ said Manchester Pride CEO, Mark Fletcher. Image courtesy of alex.bond.3701779 via Instagram. “Having been openly LGBT+ for ten years now, I’ve been a bit of a veteran of Pride celebrations around the UK. Some I loved, and others I loved a little less. I took it for granted that I could expect that every summertime my friends and I would cover ourselves in glitter and rainbows and be able to descend on Manchester, or Liverpool, or Brighton, and feel safe to be ourselves. That’s what pride is really about after all, for all of its over-the-topness, the point is that LGBT+ people can build a space for ourselves where we can be unapologetically and unwaveringly who we are. This, in a heteronormative, cisnormative world is profoundly important. Taking this for granted was changed when I happened to be in the historic and beautiful city of Istanbul at the same time as their much more modest pride celebrations. Being surrounded by the Turkish culture I was experiencing was amazing and eye opening, but it was seeing the pride festivities that was the most impactful for me. 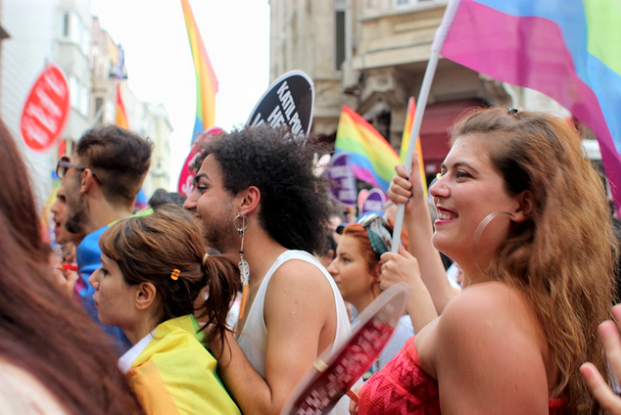 While we might expect a zealous anti-gay preacher waiting on the sidelines at some pride parades in the UK, in Istanbul the parade was heckled endlessly by onlookers who, despite homosexuality being legal in Turkey, could not accept what was happening in their city. It was also just far more obviously covered with watchful eyes in case of any foul play going on. It certainly isn’t lost on me that while Istanbul pride is the largest in Turkey, and the rest of the Middle East for that matter, that the year after I was there the Turkish police used water cannons to disperse the parade. The following year in 2016, the Turkish government banned pride in Istanbul altogether for the ‘safety’ of the public. Image courtesy of eringobro via Flickr.